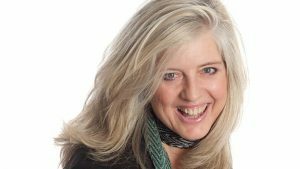 Kay Crewdson is to become the new breakfast presenter on BBC Radio York. Crewdson, who is already a familiar voice on the station and is best known for presenting the weather on BBC Look North, will take over the morning show next month. She’ll replace Georgey Spanswick who is leaving to take over the BBC Local Radio week night evening show, which is broadcast across England. Crewdson, who starts on February 6th, said: “I hope to ease everyone into the day with lots of laughs and the biggest stories. I’m excited to get started, although I’m enjoying the odd lie-in while I still can. Crewdson is currently based in the East Midlands but is returning to York where she previously presented Saturday game show Finders Keepers. Spanswick said: “It’s a wrench to leave breakfast but it helps that I’m handing over to my old mate Kay – she’ll be brilliant." Kay Crewdson at Breakfast will be on BBC Radio York Monday to Friday from 6am until 9am. Joe Pignatiello, Editor of BBC Radio York, said: “Kay already has a fantastic relationship with our listeners and I’m looking forward to hearing her warmth, personality and love of North Yorkshire shine through every morning."